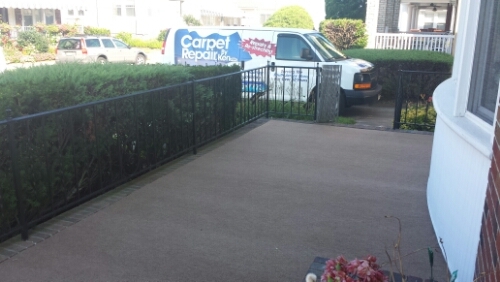 Installed Outdoor Carpeting on Porch in Margate NJ ! Previous: Repaired Floral Patterned Loop Pile Carpeting! Next:Carpeting & Vinyl Flooring Installed!